Quality is key to our success and that of our clients. Each of our employees are trained and encouraged to achieve the highest standards in workmanship and working practice. We carry out regular planned training programmes with our engineering team, outsource professional training when necessary and frequently hold tool-box talks on the shop floor. A training matrix showing all skills for each employee is reviewed and updated on a regular basis. This forms part of our ISO9001:2008 maintained quality management system that is externally audited by BSI. Recognition by our customers demonstrates our consistent ability to deliver quality product on time. We are very proud of the prestigious awards we have recently received. Link has consistently shown organic growth as a result of genuine partnership development with our loyal customer base. 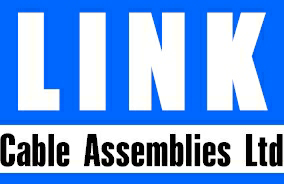 Even through the ongoing difficult global recession Link has had recent successes in securing significant new customers. We look forward to developing these into long standing relationships. Different design’s and applications require their own form of test and there are many forms of test that each assembly can pass through before it reaches the customer. Visual inspection and function tests are done on line by the operator and checked to IPC A620 standards. Lastly the electrical test is performed on 100% of product. Electrical test is (where possible) carried out in house, relevant to the customer’s specification. Typical tests are: Hi-Pot/Flash (AC and DC), Earth bond to 40A, Insulation resistance, Isolation and continuity testing. Test results for all assemblies are recorded and maintained. This can be provided as a test verification certificate accompanying the goods. For specific designs test jigs can be manufactured in house where required. * “the wealth of experience on cable design that Link Cable Assemblies Ltd. possesses is being deployed to good effect in the design of our battery monitoring product range. By creating a dedicated secure area for our product and a conformal coating capability, we are now able to optimise the work split between RSL and Link Cable. Without Link Cable Assemblies support, RSL would not have been able to support the ITAS programme and enable such growth in the battery monitoring area in Land Combat for RSL” Martin Mennie Head of SCM – Raytheon UK.